Dawnstar is a fictional (Character) superheroine in comic books published by DC Comics. She was created by Paul Levitz and Mike Grell. More about Dawnstar (DC Comics) Character Review - keep on reading !! 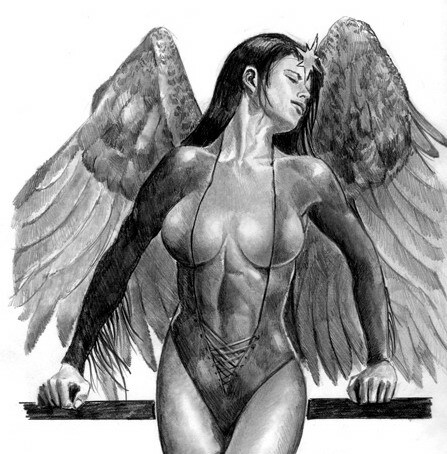 Dawnstar is her real name (she has no Legion code name), and she is from Starhaven, a planet colonized by Native Americans abducted from Earth by an unknown alien race in the 13th Century. Her name is derived from the appearance on Earth of the planet Venus, the "morning star," which is why she wears an eight-pointed star ornament on her forehead. Dawnstar and her people are of Anasazi Indian heritage. Starhavenites have pairs of large white-feathered wings that grow out of their upper backs, the result of genetic engineering by the unknown alien race that resettled them and triggered their metagenes. Dawnstar's parents are Mistrider and Moonwalker, and her younger brothers are Greybird and Greatfire. During her late childhood and early teens, her parents built a thriving business on their daughter's ability to guide spaceships through hazardous areas of space. She also worked as a guide to hunters of animals. Dawnstar received an invitation from Legion financier R.J. Brande to attend the Legion Academy, and reluctantly accepted the opportunity. She was first introduced to the Legionnaires at age 16 as a recent graduate of the Academy. Her tracking and navigation talents earned her full membership on her first mission. Her Legion stipend went to pay for enhancing her home world's defenses. She served in many missions with the Legionnaires, contributing her often underrated talents at tracking and high-speed travel to perform many rescues of her colleagues, as well as investigations of personal disappearances and similar mysteries. She also brought these talents into many Legion adventures in other times, especially the 20th Century. Notable here is her early role in the Crisis on Infinite Earths. 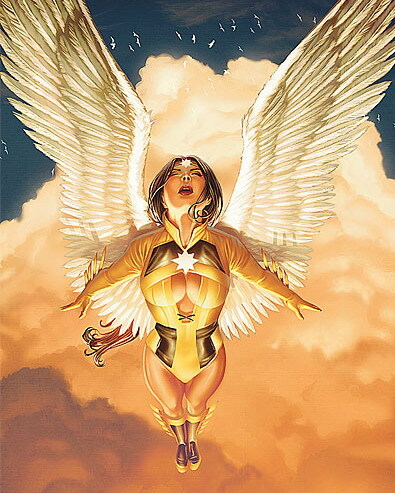 After the Legion's timeline was "reset" by the Legion's battle with Mordru, Dawnstar was shown as having been possessed by an evil entity called Bounty, who amputated her wings and forced her to use her tracking powers as an assassin. Dawnstar was later freed from the Bounty entity's control. She was spiritually healed, but her destiny was never resolved, as she vanished shortly before the Legion's timeline was erased by the events depicted in Zero Hour and by the ensuing reboot. Dawnstar's unique powers include the ability to track life forms and objects across light years of distance and through interstellar space. She can survive in deep space for long periods of time without a spacesuit or viable atmosphere, by generating a self-sustaining environmental forcefield. In deep space, she can travel at faster-than-light speeds. In an Earth-normal atmosphere or in a sizable gravity well, her speed is diminished. She wears a Legion flight ring to signal for help, for monitoring of her location, and for other non-flight uses. 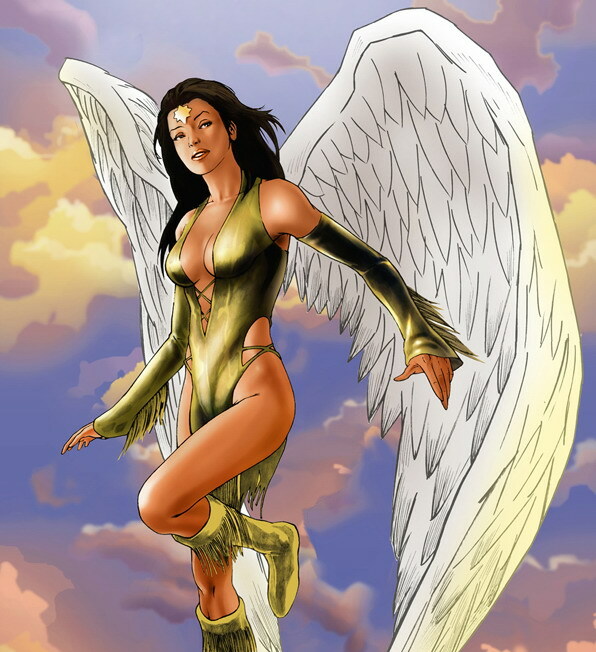 Dawnstar appears in the second and final (2007-2008) season of the recent animated Legion TV series. In the concluding two-part episode "Dark Victory," she is visible on three occasions standing or flying in the midst of a large group of Legionnaires. She also appears, but with dialogue and extensive action, in issue 19 (December 2008) of the printed comic book based on the TV series.